“Bamboo, Glassman’s primary art-making material, is a rhizome that spawns a dense, horizontal, and sprawling network from a single root, a [more] apt metaphor for nearly all aspects of 21st century life. . .
“But bamboo for me was not just about big, fast, cheap. For me the amazing thing about bamboo is this — when you are in a bamboo forest, even if you are in one that fills an entire mountain, you are in one plant. 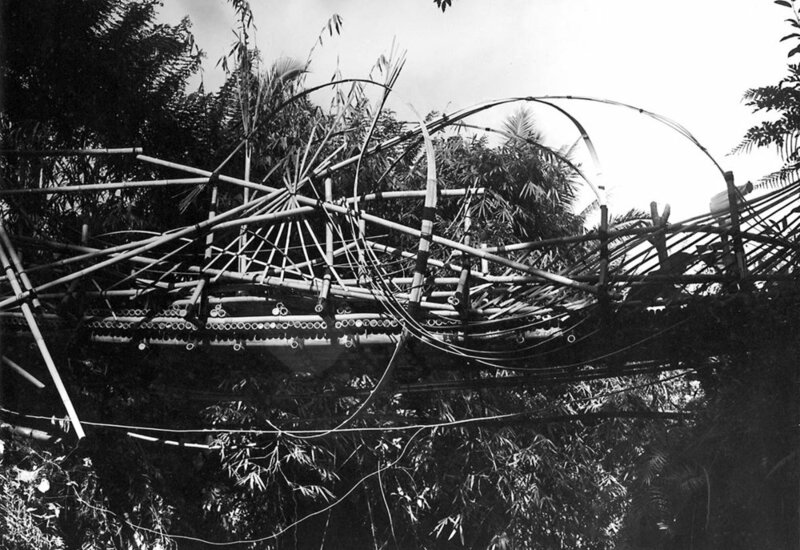 Below your feet is a vast horizontal interconnected net called rhizomes, and each and every bamboo “tree” in that forest (and they are called “culms”) is merely a vertical offshoot of the rhizome network. Its presence is only temporary — it will be gone in a couple years — but its beauty and strength is only a reflection of the health of its interconnectedness, its underground rhizome network.